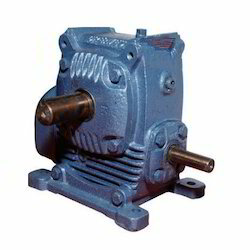 Leading Manufacturer of premium greaves single reduction speed reducer, greaves double reduction speed reducers, premium greaves adaptable speed reducers, single reduction speed reducing gearbox, adaptable speed reducers and premium greaves double reduction speed reducers from Mumbai. Major Applications: Agitators, conveyors, crushers, cranes, elevators, feeders, small ball mills, mixers, cooling towers, Extruders, Packaging, Filters and many more. 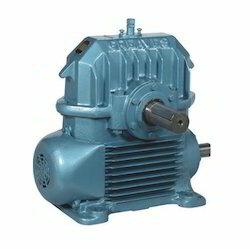 Greaves Double Reduction Speed Reducers are two stage worm reduction units. A specially designed primary worm reduction unit is integrally mounted on a standard single reduction Greaves worm reducer which forms the second stage. The composite units provide the most compact and rigid arrangement for large reduction of speed necessary for slow moving machinery. 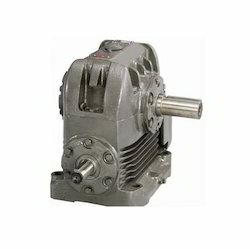 We Offer Premium Greaves ‘Radicon’ Single Reduction Speed Reducers. The team of our experienced and trained quality checkers ensure that only selected products are sent to the clients. Major Applications : Agitators, conveyors, crushers, cranes, elevators, feeders, small ball mills, mixers, cooling towers, Extruders, Packaging, Filters and many more. Major Industries : Sugar, Elevator, Textile, Rubber, Steel Industry, Power Plants, Mines and Minerals, Waste Water Treatment, Paper, Plastic & Leather. We Offer Premium Greaves ‘Radicon’ Adaptable Speed Reducers. Before being dispatched to the customers, all the products are tested for optimum quality. 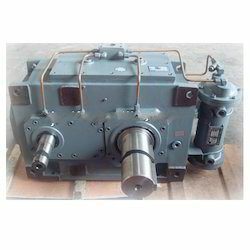 Premium Greaves Double Reduction Speed Reducers are two stage worm reduction units. 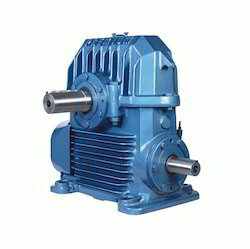 A specially designed primary worm reduction unit is integrally mounted on a standard single reduction Greaves worm reducer which forms the second stage. The composite units provide the most compact and rigid arrangement for large reduction of speed necessary for slow moving machinery. Features : Various Mounting arrangements as per desired application. Major Applications: Agitators, conveyors, crushers, cranes, elevators, feeders, small ball mills, mixers, cooling towers, Extruders, Packaging, Filters. 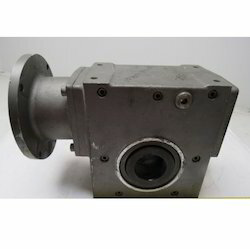 Looking for Speed Reducers ?